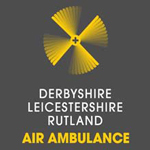 On Saturday 22nd March, Derbyshire, Leicestershire & Rutland Air Ambulance (DLRAA) were called out to a road traffic collision in Mastin Moor, Derbyshire. Three people were injured and three cars were involved. DLRAA were called out at approximately 11:20am and landed at the scene at around 11:36am. Each of the patients were assessed for their injuries by the crew and East Midlands Ambulance Service (EMAS). One of the patients, a 60-year old man, was still trapped in his vehicle and had to be extricated by Derbyshire Fire & Rescue. He had sustained abdominal injuries in the collision and required further assessment at the nearest major trauma centre. He was given advanced pain relief and immobilised with a pelvic binder. 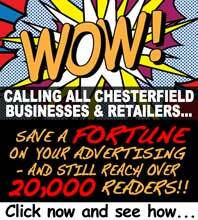 He was then placed on a scoop stretcher before being airlifted to Northern General Hospital in Sheffield. The crew landed at the hospital at around 12:14pm. The remaining two patients were treated by EMAS. The current condition of all three patients is unknown. In 2013, DLRAA attended almost 397 road traffic collisions - 45% of their callouts. DON'T START 2014 IN AN AMBULANCE.